needs in the Bronx, NY. 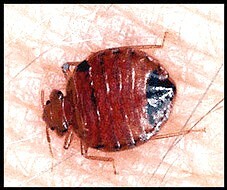 your bed bug problems easier than ever. Rodents can be a constant nuisance in the Bronx. in your Bronx home, apartment, or business. Bronx for over 50 years. different ways. We will help you to get rid of these pests. 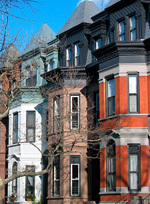 Magic has been a leader of bedbug removal solutions in Bronx, NY. Magic Pest Management is a family owned extermination and pest control company servicing all of Bronx, NY, as well as the rest of New York City and Long Island. Hire our Bronx Exterminators to take care of problems with bedbugs, termites, roaches, rats, mice, and other pests. Magic Pest Management is a full service exterminating company that offers all forms of pest control to your home and property. Our Bronx Exterminators have staff to assist you with any pest control problems you may encounter in your New York apartment our house. In addition, Magic uses various alternatives to chemicals for business and homes in the Bronx that may require special attention because of medical reasons. In 1960, Magic Pest Management was founded by Marty and Hal Byer to service the 5 boroughs - New York City, Manhattan, Brooklyn, Queens, the Bronx. The pest control services Magic provides are top notch in the industry, and our exterminating professionals will get the job done in your New York City and surrounding locations, including Long Island. Magic Pest Management is a member of the Better Business Bureau and prides itself on our excellent reputation with our customers. Our exterminator technicians are trained, certified, and kept abreast of any new happenings in the industry.